A striking feature in your living area, the contemporary take on traditional barrel bars from Allure will add a touch of style and practicality to your room. 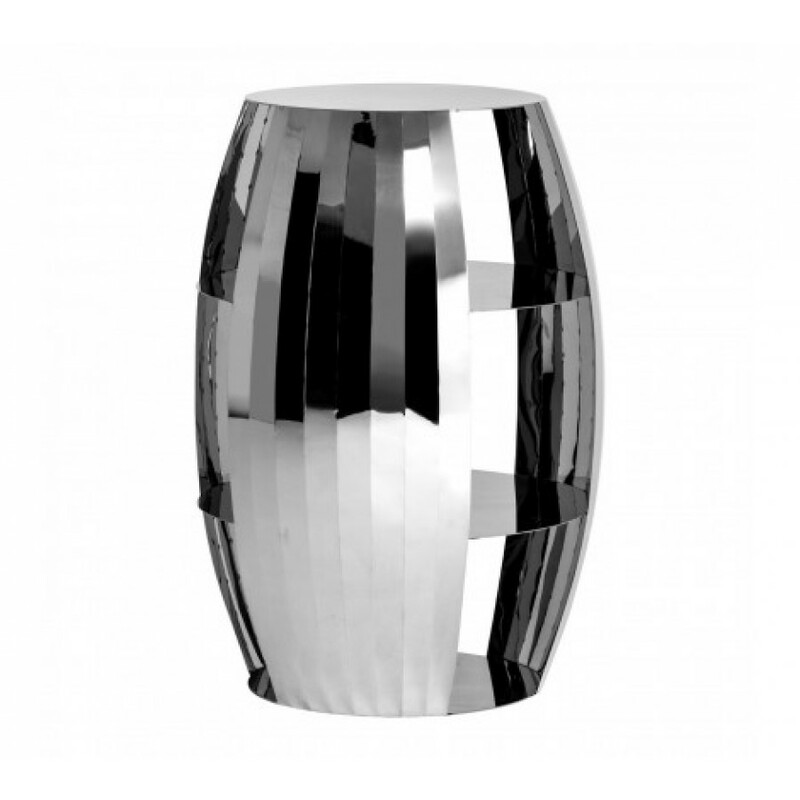 The barrel bar will make a wonderful focal point in your room and being made from stainless steel, with a polished finish, it will reflect light and glamour. Two storing shelves are ideal for keeping bottles and glasses safely stored, while the smooth surface is perfect for serving up your beverages. A chic feature that demands attention, the beautifully designed Allure barrel bar will complement most decors adding its own opulent style to the room.